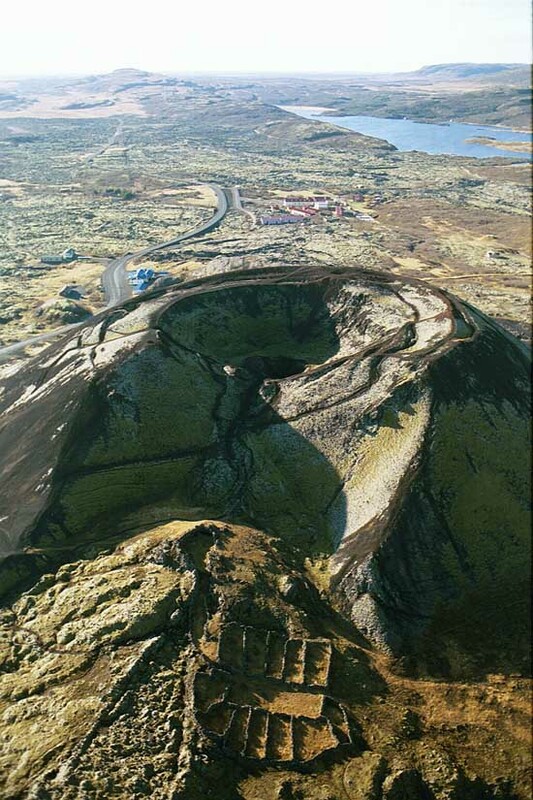 We’ve selected what we feel are the key examples of Greenlandic Architecture. We aim to include Greenland Buildings that are interesting and of strong quality. The country is autonomous within the Kingdom of Denmark. e-architect cover completed Greenlandic buildings, new building designs, architectural exhibitions and competitions across Greenland. The focus is on contemporary Greenland buildings but information on traditional Greenlandic architecture is also welcome. An Icefjord Centre in Ilulissat will attract tourists to Greenland and contribute to our understanding of climate change. 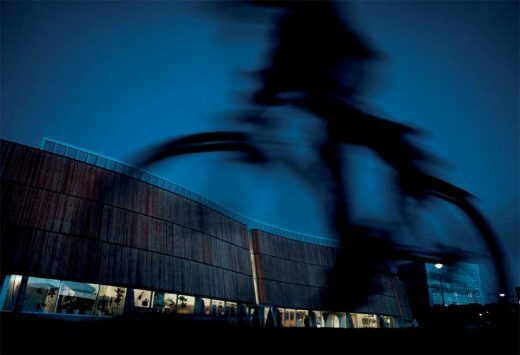 The Danish architectural firm Dorte Mandrup Arkitekter has designed the visionary building for the centre with respect of the unique, UNESCO-protected natural surroundings. As part of a Danish design team, schmidt hammer lassen architects has won the competition to design the correctional facility Ny Anstalt in Nuuk, the capital of Greenland. 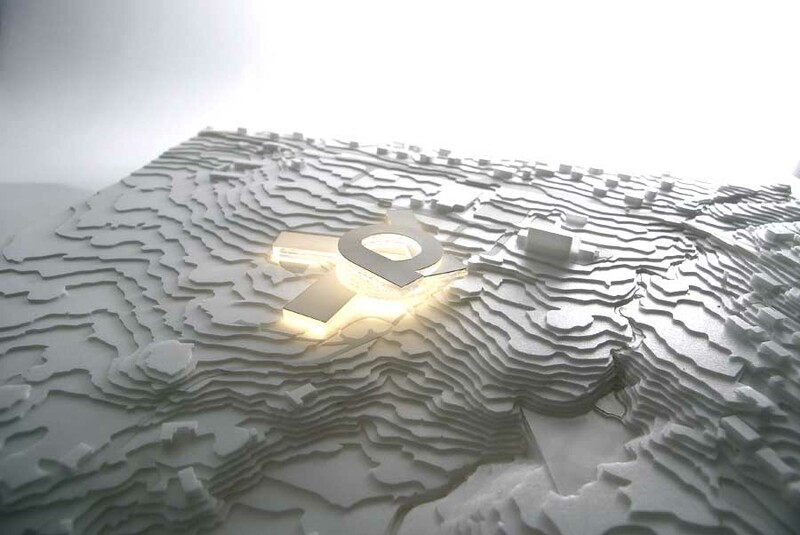 The winning design for the 8,000 square metre facility was submitted by a team including Rambøll as full service contractor, architects Friis & Moltke and landscape architects Møller & Grønborg. Ny Anstalt is the first such facility in Greenland. 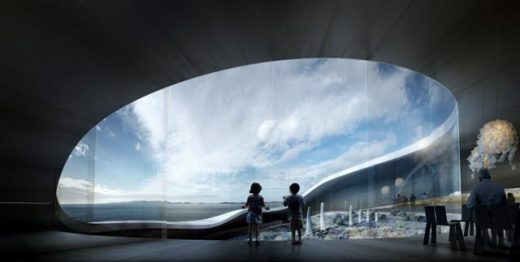 BIG + TNT Nuuk + Ramboll Nuuk + Arkitekti is the winning team to design the new National Gallery of Greenland in the country’s capital Nuuk, among invited proposals totaling 6 Nordic architects. 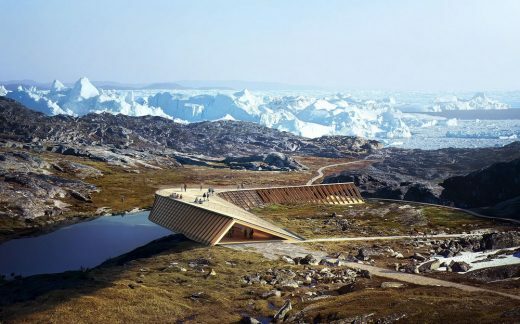 Located on a steep slope overlooking the most beautiful fjords in Greenland, the 3,000 sqm National Gallery will serve as a cultural and architectural icon for the people of Greenland. 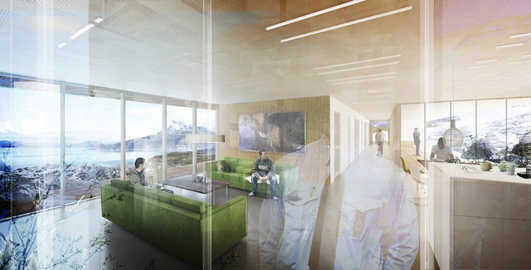 This new Greenland museum building will combine historical and contemporary art of the country in one dynamic institution. The winning design was selected by a unanimous museum board among 6 proposals. 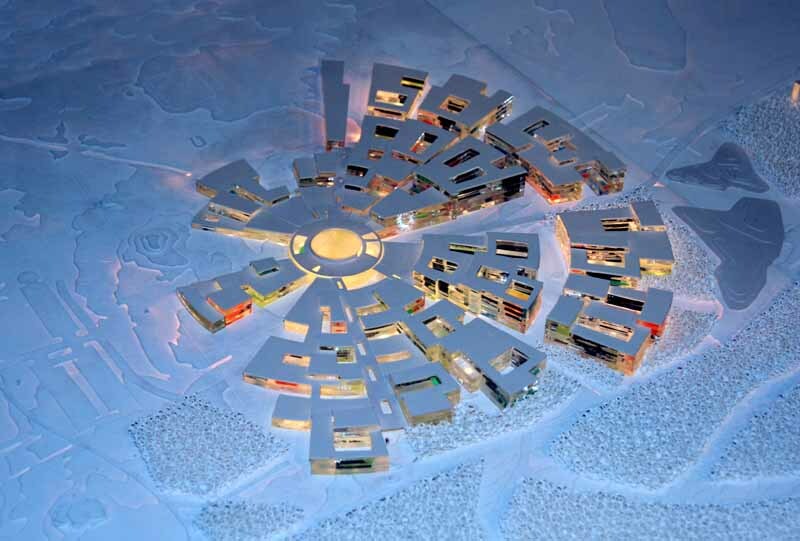 Greenland’s national hospital, the Queen Ingrid Hospital inaugurated a new health centre and national pharmacy – with a distinctive architecture inspired by the ice floes of Godthåbsfjord. C. F. Møller Architects is responsible for the building extension and for the general plan for the whole project.